To coincide with London Fashion Week, Dalston Superstore and Decoy proudly present an exhibition celebrating fashion illustration. Dalston Superstore has taken the knowledge and understanding of the ever-increasing subject to produce a beautiful and simplistic exhibition. 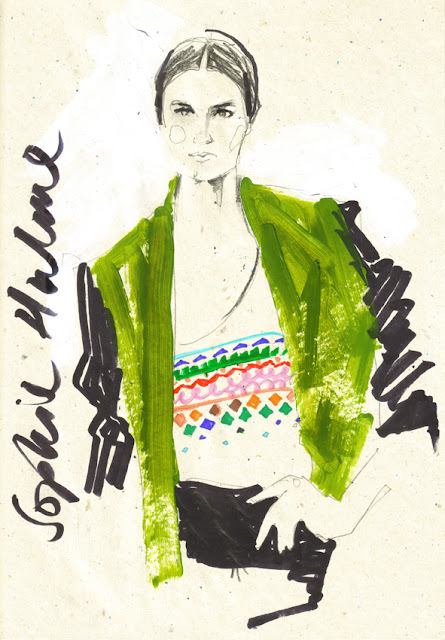 Home to some of the most prolific fashion illustrators in the world, London is one of the biggest breeding grounds for new talent to emerge. As a medium, fashion illustration has diversified from its advertising and haute couture lookbook origins. 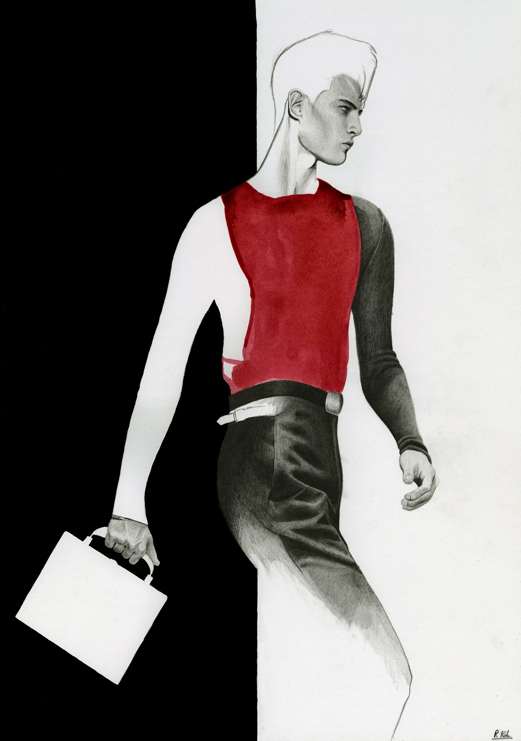 The term �fashion illustration� itself no longer simply means to just illustrate clothing. Whilst the ability of illustrating garments is still an art form in its own right, fashion has become the available context of the work. This expansion of context has allowed illustrators of recent years to experiment with new styles and ways of interpreting clothing and brand images. Further marrying artistry with fashion imagery. Multi-faceted talent and fully fledged designer at London Fashion Week, Alex Noble originally worked as an illustrator, creating series of works, collages and murals for the likes of Dalston Superstore, Batty Bass and Wound Magazine. The visual language of bold colours, art nouveau reference, characteristically long limbs and use of masking tape led to installations for MTV and Glastonbury. Noble has produced fashion pieces featured in many world wide publications His spectacular outfits for the likes of Lady GaGa and Florence Welch have opened up the worlds eyes to his creativity. His label continues to flourish with each collection. 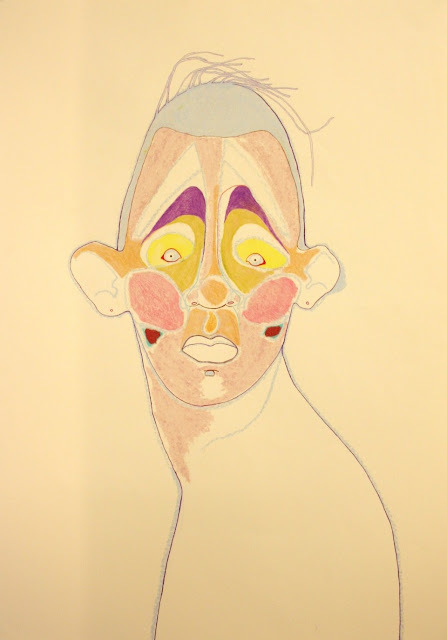 Along side Noble�s renowned style and grace, Richard Kilroy will be showcasing his own illustrations. Richard�s style of combining photorealism with loose line work has earned him clients that include Dior, Vman, Commons&Sense, Topshop and more. Focusing on menswear, his inspiration comes from the notions of suggestion and reductivism, and the importance of line. A fashion illustrator whose style is completely unique is Tara Dougans, Tara Dougans' style is easily identified by her strangely stoic characters, obsessively rendered details and tendency to depict powerful looks. With a heavy emphasis on concept and play, commissions include collaborations with Iris van Herpen, the Academy of Fine Arts Antwerp, Telegraph Fashion, Amsterdam Fashion Week and exclusive work for NOWNESS.com. Also working as an art director, her most recent projects explore the intersection of handcraft and technology � animation, film and digital editorial. Also exhibiting, Ex-Central Saint Martin's student and SHOWstudio favourite Stephen Doherty works primarily in graphic media, creating portraits with a contemporary edge. His organic textures and lines lend to a unique and identifiable figurative style. After leaving his three year post as assistant designer to Craig Lawrence, Stephen is currently working on his own collection. Illustrator Jason Lear is a relative newcomer to the field. Having already worked with Peter Pilotto and Disorder magazine, his work reflects the aspects of illustrators throughout the 20th century, taking inspiration from the likes of Kenneth Paul Block, Gruau and David Downton: Descriptions of details are through energetic brush strokes and spare use of line, most definitely one to watch. These Illustrators are just five of nine artists whose work will be displayed through out the 6 weeks that Dalston Superstore becomes home to Walking The Line.